Two bits of news that don't really rock my boat. I didn't like Ben Kingsley's character (at the ultimate reveal of the exact situation in the movie at least) in Iron Man 3 and I wasn't fond of any characters from Avatar in general. Both movies were poorly written and delivered only mild entertainment. That said, I am intrigued by Sir Ben's further involvement in the Marvel Cinematic Universe. As is usual, he's not allowed to give anything away, so as to keep the fanbase guessing ad nauseam. For all we know he's playing the same prank on us the writers of Iron Man 3 did in terms of writing his character. I doubt Kingsley is referring to Captain America: The Winter Soldier or Guardians of the Galaxy. The former is deep in post-production by now, while the latter is well underway in terms of shooting so it seems a little late to add more actors. The Avengers: Age of Ultron or Ant-Man seem more logical choices, since they're still only prepping and haven't been fully cast yet. What Kingsley could play in either of them is anyone's guess at this point. Then of course there's the option of Sir Ben popping up in Agents of S.H.I.E.L.D. on telly: many would call it unlikely such a grand actor of the big screen would lend himself for something like that, but it's a fact by now quality television series are getting ever more prestigious for actors and similarly big names have done TV before. Heck, if Samuel L. Jackson can appear in Agents of S.H.I.E.L.D. (he did! ), Kingsley's eventual guest star occurrence isn't that improbable. Last but not least, there's the possibility Kingsley is referring to a project as yet unknown to the general audience. Let us not forget, Marvel is already preparing Phase 3, as well as four (!) more TV shows. Sir Ben could appear in any one of them. It simply remains to be seen which project, and what he's playing. After the huge letdown that was his "Mandarin" in IM3, I sincerely hope he's playing a new character instead. He's certainly capable enough to look different enough from a character we already know. Whatever we can gather from his few tiny crumbs of information, the truth is exactly as he said: we'll have to wait and see. As for Lang: really? His character is dead, but Cameron nevertheless wants him for three more Avatar sequels? 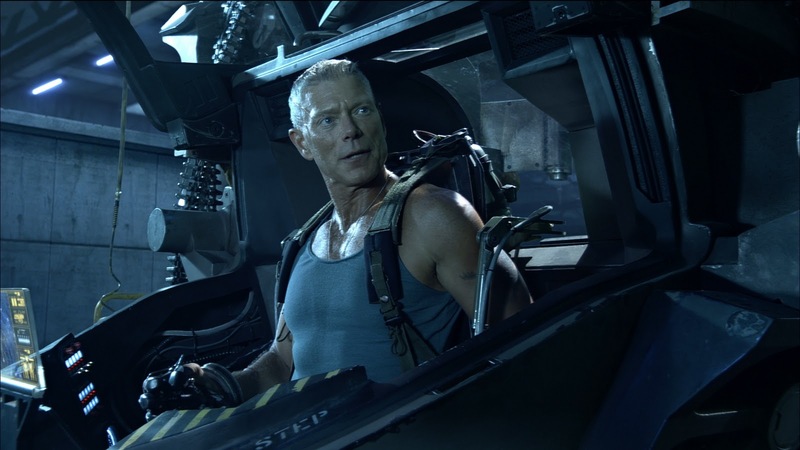 Lang is a good actor, but his character in Avatar, the greedy and predictably nefarious Colonel Quaritch, was quite two-dimensional and I was glad to see him disposed of at the end of the film. Apparently, Avatar being science fiction, as Cameron confirmed (as if we didn't realize that! ), gives the director free range of resurrecting any old character instead of getting creative and come up with more interesting new villains. I'm sad to hear it. It doesn't bode well for the next few Avatar movies in terms of a well developed story, what is what I (and many others) had hoped for this time around. Sure, it all looked great, but if it isn't put to inspired use, what's the point? Cameron was basically regurgitating Dances with Wolves and Pocahontas. It seems that by reintroducing Quaritch he's now regurgitating Avatar itself. After all, by the time Avatar 2 finally sees a release, we're sure to have forgotten Avatar's so-called 'plot' entirely.